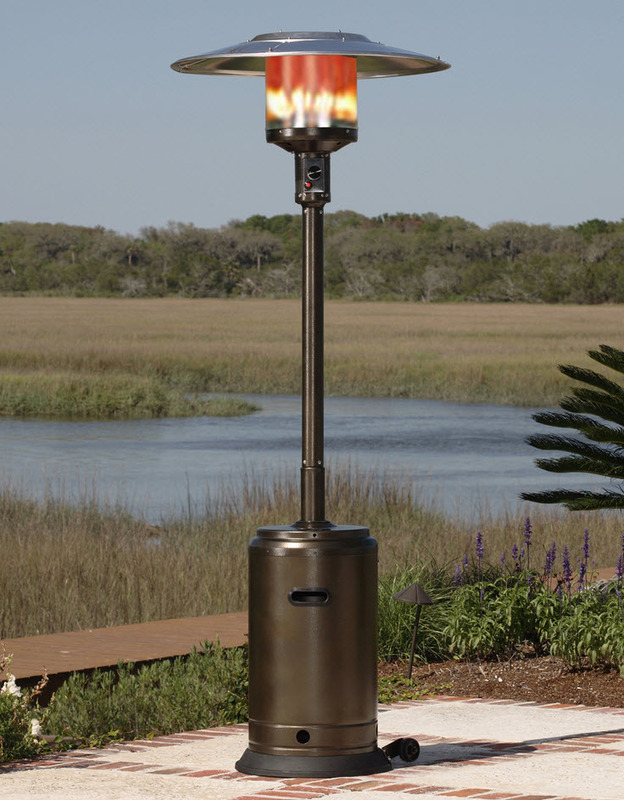 The Lotus Hammer Tone Bronze Commercial Patio Heater brings up to 46,000 BTU heating capacity with solid 304 stainless steel construction to your patio. 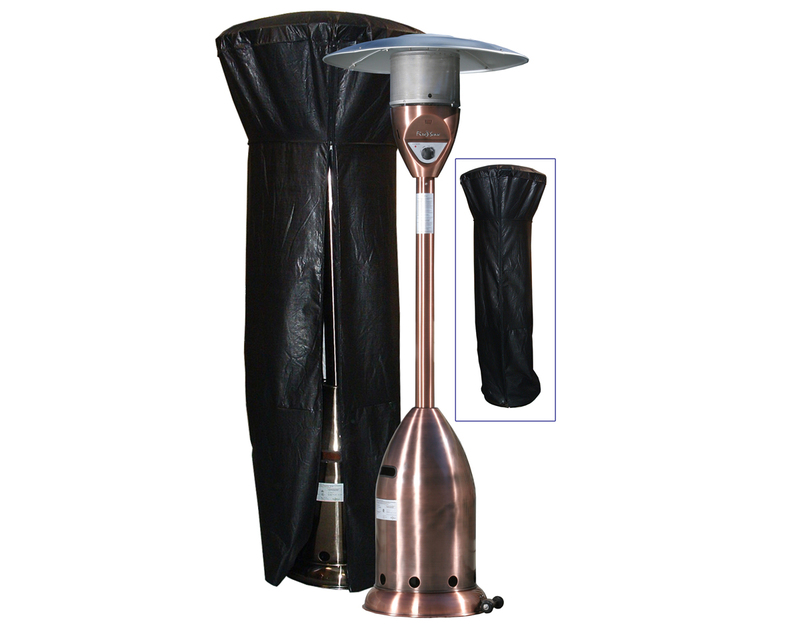 With an 18 foot diameter heating range, this piece is sure to fill the surrounding environment with a smooth gentle warmth in seconds. 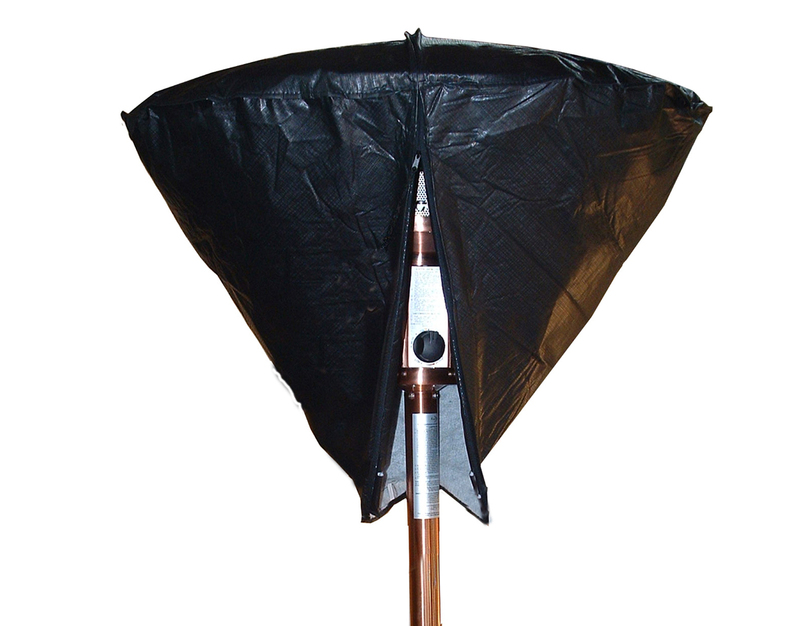 Featuring a unique "pilotless system" single stage ignition process, this piece will always turn on with ease. Durable stainless steel burners are joined with double mantled heating grid to ensure optimal heating. Runs off any standard LP gas tank or LP gas line, the Lotus also comes with a safety auto shut off valve that engages if the unit is tilted. This piece is CSA approved and ready for any residential or commercial application. Included wheel set makes set up and moving simple.